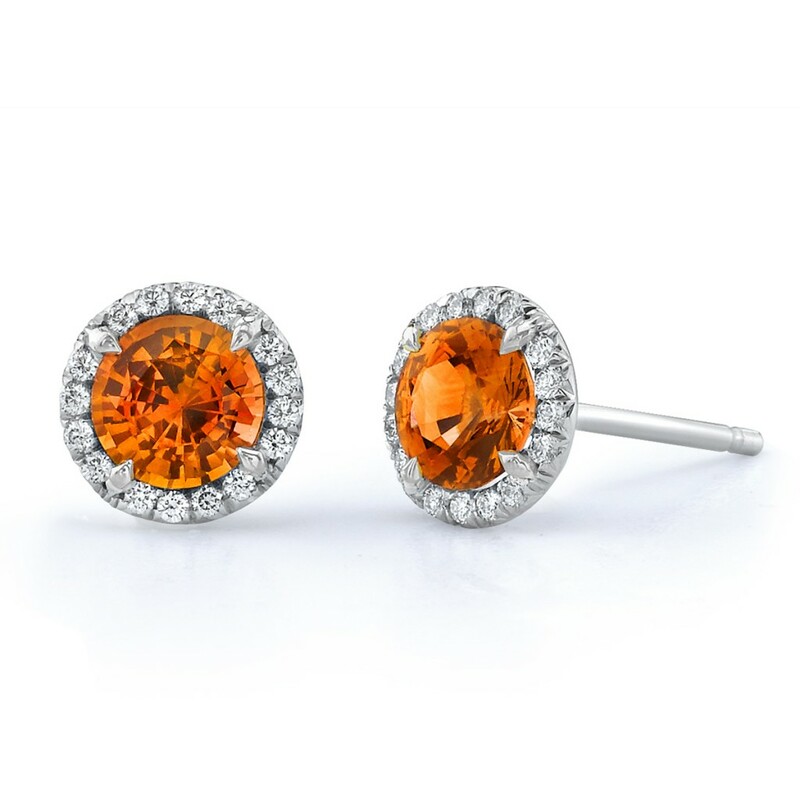 Golden Globes Fashions Pair well with Omi Privé! 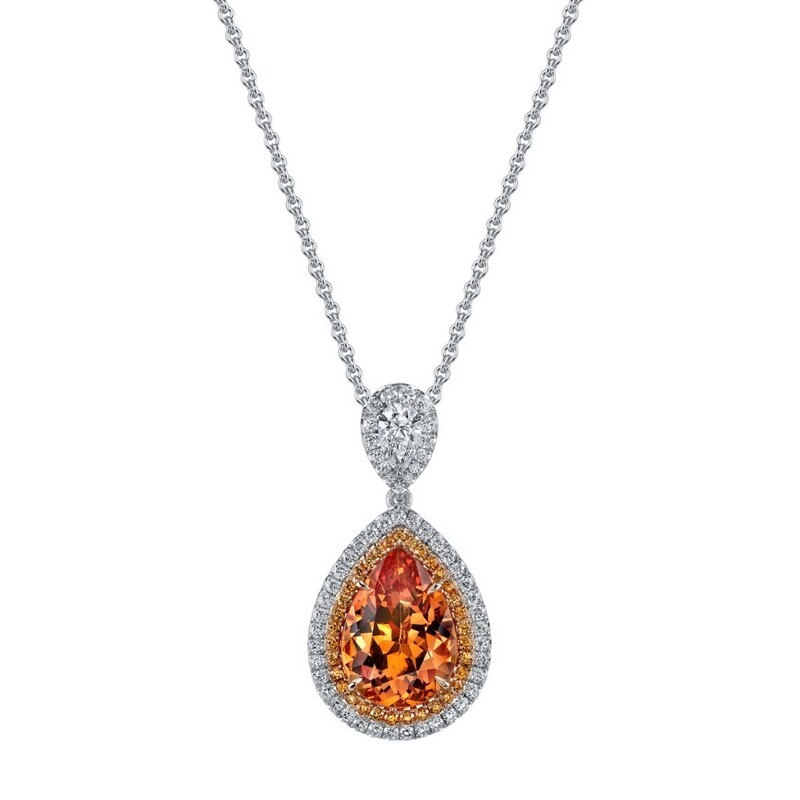 Posted January 13, 2014 by Omi Prive & filed under Celebrity, Custom Collection, Emerald, Omi Privé, One-of-a-Kind Collection, Ruby, Sapphire, Signature Collection, Spessartite Garnet, Spinel. Cate Blanchett won Best Actress in a Motion Picture Drama, for her roll in “Blue Jasmine”. Our 3-stone sapphire and diamond ring is a good way to play up the “Blue”! Elizabeth Moss looked stunning in a black and deep red dress while accepting her Best Actress in a miniseries or TV Movie award for her role in “Top of the Lake”. This marquise shape ruby ring is a perfect compliment to the geometric shapes seen in her dress. Jennifer Lawrence was one of the lone few who accessorized with color at the awards. Her simple white and black dress pairs well with platinum and diamond drop emerald earrings. Expectant mother, Drew Barrymore, looked so sweet in her pink and orange leaf adorned gown. 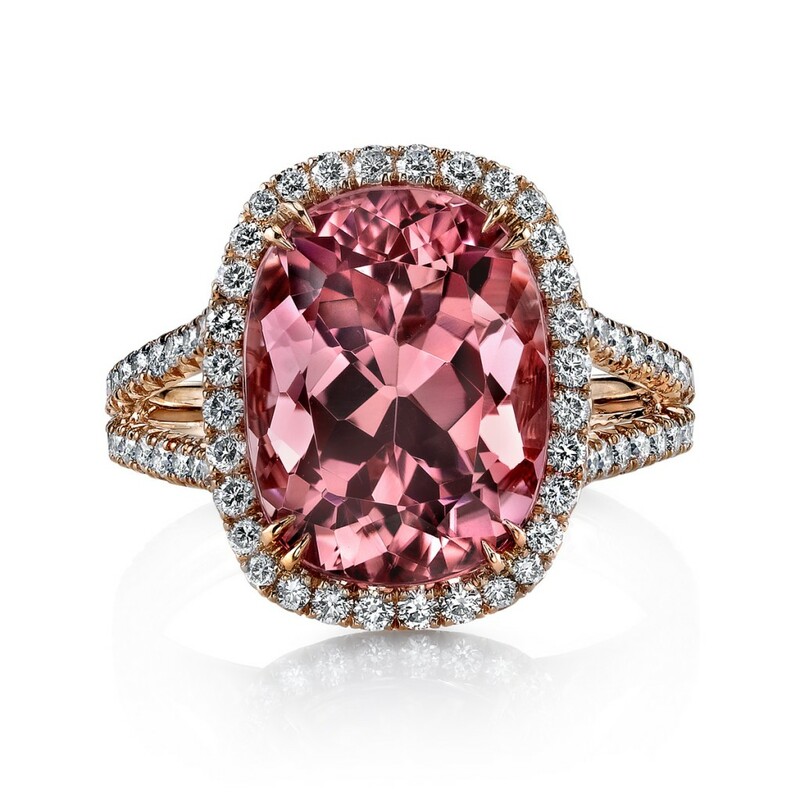 We’ve got the perfect pink sapphire ring for this dress or anytime (since she is expecting another girl!). 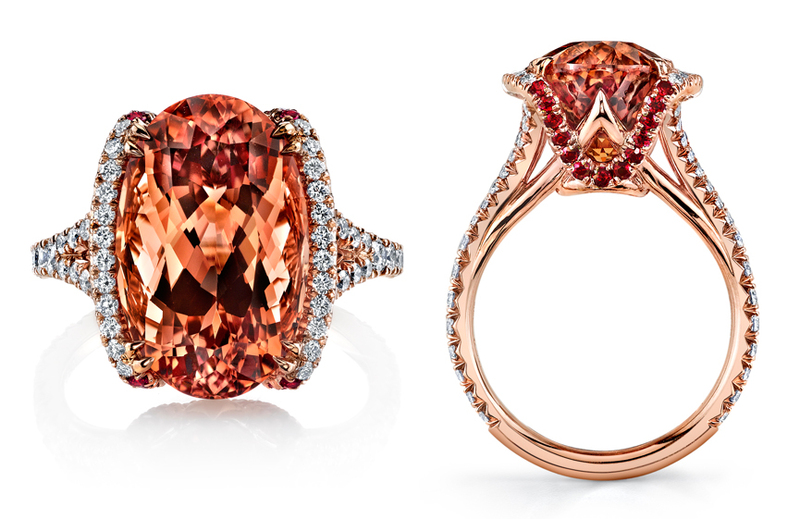 The rose gold accents are a nice touch that play off the cushion shaped center stone and halo of round pink sapphires. Julia Roberts wowed with her interesting dress-shirt-combo at the Globes this year. To add a little color to any black and white ensemble, classic ruby and diamond earrings are a great choice (and match her nail polish!). Maria Menounos was pretty in pink with some “hidden” details in the cutouts of her bright gown. Our 11.24 carat pink sapphire ring holds the surprise of rose gold detailing and a round peek-a-boo pink sapphire on the profile. This green tourmaline and yellow gold Omi Privé ring is perfect for Reese’s aqua gown and her new “long-bob” blonde hair. Taylor Swift’s uniquely colored dress, similar to the Pantone color, Cayenne, is a perfect spicy match for this spinel and diamond ring! 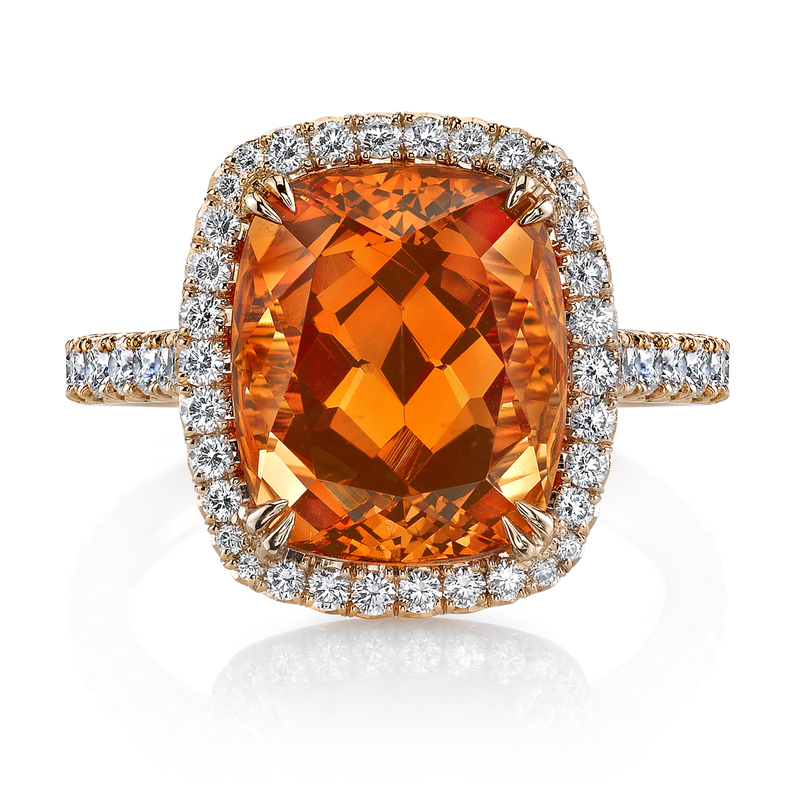 Posted June 12, 2012 by Omi Prive & filed under As-Seen-In, Custom Collection, Omi Privé, Sapphire, Spessartite Garnet.